Sylvia Vogt | The Secretan Center, Inc. Drawing on 25 years experience as an international industry executive, Sylvia offers strategic organizational development that enables organizations, teams and individuals to succeed – through coaching, teaching and consulting. She serves as an adjunct professor of management at a top ranked US university with a focus on leadership and personality development, innovation culture, leading change, leading teams and organizations. 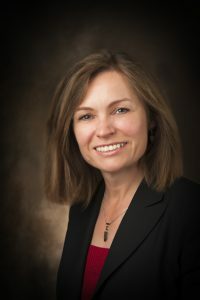 An experienced program director, faculty, and classroom trainer, she has designed and delivered innovative, award-winning learning experiences for more than 2,000 international executives. Sylvia is a Certified Coach (Psychology of Change | Emotional Intelligence in Coaching – training accredited by DBVC German Coaching Association); Certified MBTI® Practitioner; Certified Higher Ground Leadership® Pathfinder & Coach; Intercultural Awareness Profile (IAP) Licensee; and Change Pro Simulation® Facilitator. Sylvia volunteers as business mentor for early stage entrepreneurial companies at a nationally ranked startup accelerator. In 2005, she was named by Automotive News as one of the 100 Leading Women in the North American Auto Industry. Sylvia integrates strategy, transformational change, and the people dimension in international business. Add some authenticity, love and inspiration – helping individuals and teams to thrive, together! Based out of Pittsburgh, PA and Boulder, CO (USA), Sylvia works with clients internationally in English as well as in German.